DTT: The sad story of the Muslim girl who was stabbed to death, and many people walked by, not caring whether she was alive or dead. This is the current society we are living in, where care for other human beings is abandoned. Thankfully there was Roberto Sanha, who went to the victim’s aid. The man who went to the aid of a Saudi student as she lay dying on a pathway in Essex believes several people must have passed her before he arrived. 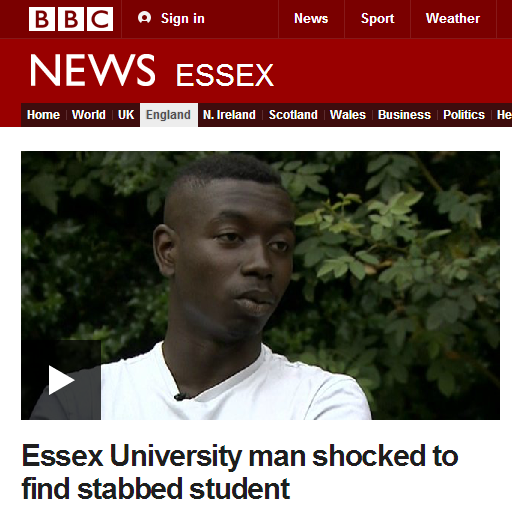 Roberto Sanha, 20, was on his way back from Essex University in Colchester when he saw Nahid Almanea, 31, on the ground. He said he saw several people walk past while he called the police, during which time Ms Almanea died. He knew that many people used the path and that the woman had been lying there for some time but none had come to her aid.